Captain Flint and the Poor Pirates have just captured a ship and stolen lots of gold, as well as a whole sackful of sausages! 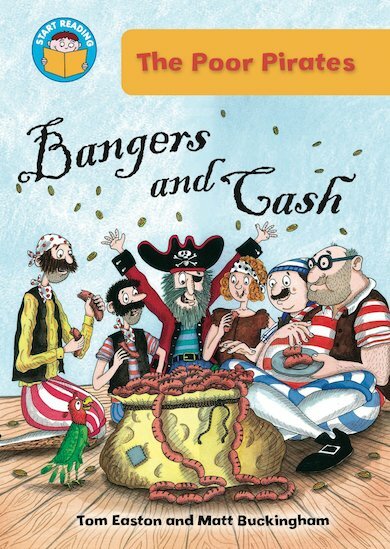 A swashbuckling story to boost enthusiasm and literacy, featuring a mix of exciting, challenging words. Suitable for readers at Gold Band 9 of the Book Bands for Guided Reading.